« October 4, 2018 Stuffed Striped Caverns, Loads of Peppers, Good Friends & Our Anniversary! October 5, 2018 Upcoming Book-Signing Event at the Pueblo Barnes & Nobel Bookshop! 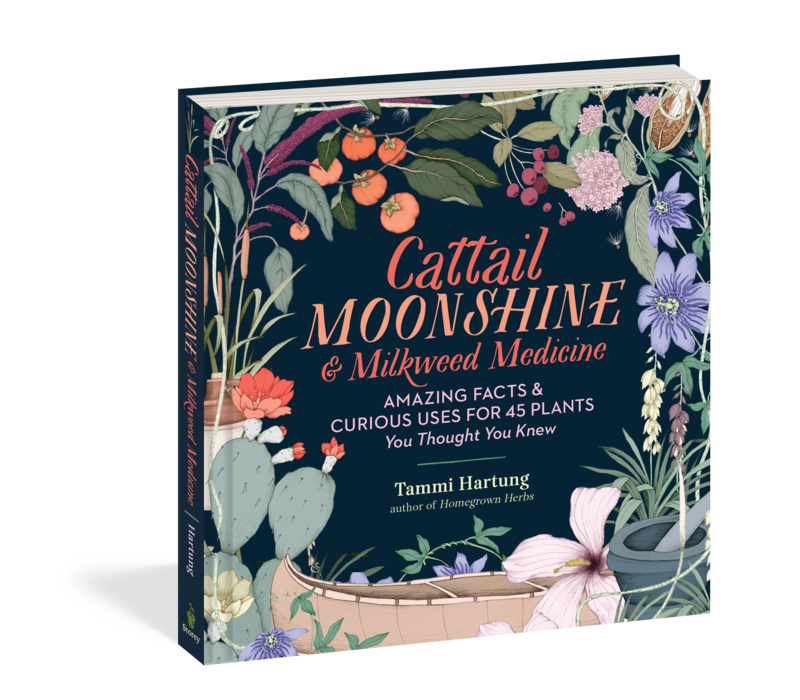 Tammi’s latest book, Cattail Moonshine & Milkweed Medicine, is the winner of 2 book awards…The 2016 Silver Nautilus Award and the 2017 International Herb Society Thomas Debaggio Book of the Year Award. 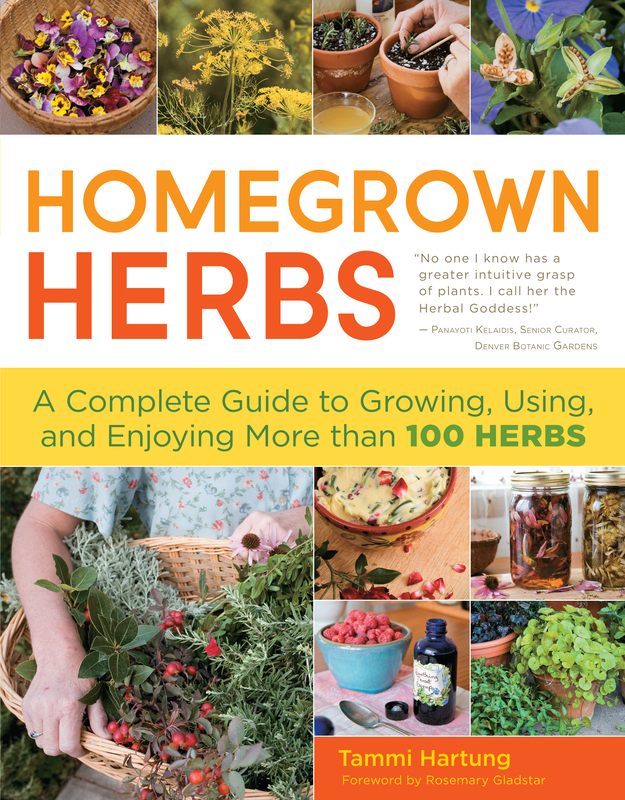 Homegrown Herbs has been on the National Bestseller list for many years now and continues to be very popular! If you love wildlife and you love to grow herbs, vegetables and fruit, this is a great book for your personal library!! 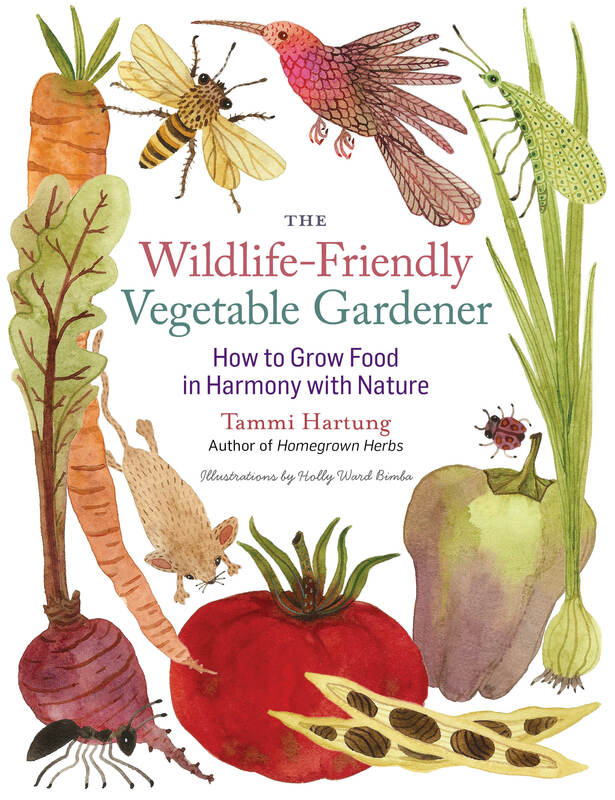 Tammi Hartung will be visiting with Barnes & Nobel bookstore customers about plants and signing books for all three of her book titles, including Homegrown Herbs, Cattail Moonshine & MIlkweed Medicine, & The Wildlife-Friendly Vegetable Gardener. Please stop in and say hello if you are near the bookshop on this Saturday and during these times. She will love to see you! Our farm is a Xerces Society Pollinator Habitat, a National Wildlife Federation Certified Wildlife Habitat, a United Plant Savers Botanical Sanctuary, and a member of the Colorado Birding & Wildlife Trails program. We put high value on the world of nature. As such we are a USDA certified organic farm, which means we are completely free of neonicotinoid pesticides, and other synthetic chemicals on this land. We use only approved organic or OMRI methods in our farm and greenhouse production. We always prefer to use nature as an ally in our work here, while earning our livelihood, and being a good member of the earth community. We invite you to join us in these efforts to grow plants and live life in an earth-friendly way. Spring Open Farm Days for 2019 begin April 13 thru June 9, 2019. We will be open Saturdays thru Thursdays…Closed on Fridays. Our hours are 9am to 4pm on Open Days only. Please note that we are a working wholesale farm and not able to accommodate your visit except on the days and hours listed above. Please do not visit at other times, except by appointment. Thank you. Please visit the “Open Farm Days” and “Classes & Events” pages of this blog for information and specific details for our upcoming 2019 Open Farm Days. We’ll hope to see you then! The information on this site is true and complete to the best of our knowledge, and is intended to be used only for education. All recommendations are made without guarantee on the part of the author or other contributors, and the author disclaims any liability in connection with the use of this information. No information included on this site is intended to be a substitute for the guidance of a healthcare provider. Please seek appropriate advice from a healthcare professional should you have the need. Thank you.